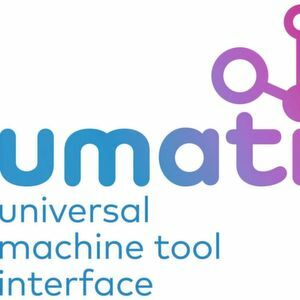 Umati (universal machine tool interface) moves one step ahead towards becoming a generally accepted standard. VDW, the German Machine Tool Builders’ Association and the OPC Foundation establish a so-called Joint Working Group. Interested parties are cordially invited to participate with immediate effect. “The group will start its work in January 2019,” reports Dr. Alexander Broos, project manager for Umati at the VDW at a press conference of the OPC Foundation at the SPS-IPC Drives trade fair in Nuremberg. “Interested members of the OPC Foundation, the VDW or affiliated associations who want to co-operate in the joint development of Umati towards a so-called Companion Specification of the OPC Foundation are welcome to contact us,” Broos continued. In this way, the VDW wants to ensure that the worldwide needs of customers and machine tool manufacturers are included in the standard. This increases the acceptance of Umati as a globally accepted connectivity standard. As common with international standards, a draft of Umati is presented to the (professional) public for inspection, feedback, and comments. After a deadline, the comments received will be incorporated to the greatest possible extent, such that a final standard can be adopted. In contrast to classical standardisation organizations, OPC UA also includes configuration files that facilitate the setup of so-called OPC servers, which need to be implemented in the machine and then handle the actual communication. Umati passed a first crucial test in a showcase during the AMB 2018 tradeshow in Stuttgart, Germany. 15 machines from nine manufacturers with five control platforms were connected to numerous communication partners. Exchange of data was based on an extract of the first parameter set that had been jointly defined up to then. The participating companies report that setting up the communication network took between eight and 16 hours. 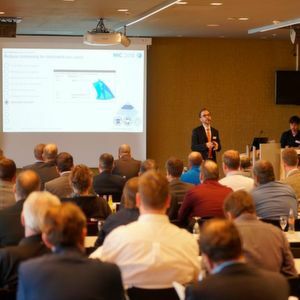 “The next important milestone for Umati is the presentation of a more extensive showcase at EMO Hannover 2019. At the world's leading trade fair for metalworking we want to present a significantly larger number of international partners participating in Umati,” Broos from VDW announces. To this end, the VDW is engaged in intensive discussions with the most important market partners all over the world. In addition to the planned collaboration with companies, the VDW is working closely with its sister associations in Europe, the USA, Japan, China, South Korea, and others. This article was first published on www.etmm-online.com. Supply Chain Management What is Supply Chain Management? Definition, example & objectives!